Everybody who knows about the Titanic dreams and thinks to be a part of this massive vessel.It replica Titanic II is being built by China. The preliminaries are about to be completed. The vessel will be constructed in the Zinling shipyard of Nanjing, China. The builder and Owner an Australian Clive Palmer is a business tycoon. 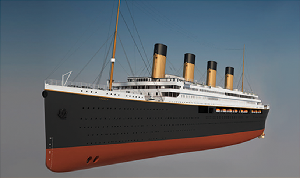 The Titanic II is designed to be completed in 2016 as a replica of original Titanic. The vessel will traverse and complete unfinished route from Southampton ( Britain ) and NewYork. The return of Titanic is certain as Titanic II in 2016. 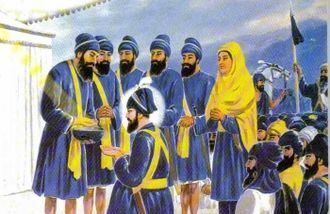 A lot has been said and there are good reasons to believe that this time the reality is close to happen. The passenger vessel will be of 270 x 63 meters as its dimensions with gross tonnage to be 56,000 GT, much more than the original one. Greater beam for enhanced stability. Welded, not riveted, hull and reduced draught. A Bulbous bow for higher fuel efficiency, although moderately sized compared to modern ships. When compared to the original Titanic it shall have 840 rooms with capacity for 2,600 passengers and staff of about 300. Interior: The interior has been planned to be close to the original. A Swedish firm called Tillberg Design has been allotted to almost similar design conforming to latest Fire Fighting regulations. The wall paneling will be those of veneer. In todays scenario, to be eco friendly is the requirement of the times. For this and for safety reasons diesel propulsion machinery will be installed instead of steam engine and coal- fired boilers. The bulky machinery of boilers will be done away and the space left will be used for accommodation of the crew. There are controversies about this venture. How successful will be the shipyard as China has never built a large passenger ships also the shipyard has no facility of large vessel being built here the. The Owners need to be extra cautious in pursuing the safety standards. Moreover, the representatives of the shipyard are still not aware of any contract being signed so far and therefore in doubt if the construction will be over in 2016.